Rep-Cal Ultrafine (fine grind) is an excellent source of calcium for all reptiles and amphibians. Scientifically formulated from 100% natural Oyster Shell phosphorous-free calcium carbonate with added Vitamin D3 to aid in the absorption of calcium. An added vitamin to ensure your Bearded Dragons health. 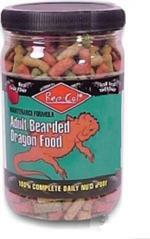 #1 Bearded Dragon food supplement on the market. 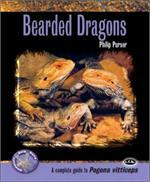 A great book for any New Bearded Dragon Owner. Price: $149.99 There is no shipping on this item. It will have to be picked up a Reptile Show we're attending. Please call if ordered. 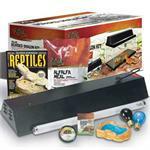 The Rzilla 20gal starter kit includes everything you need to get your Bearded Dragon started. 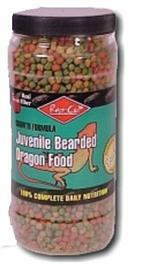 Recommended for Baby Bearded Dragons. Price: $199.99 There is no shipping on this item. It will have to be picked up a Reptile Show we're attending. Please call if ordered. The Rzilla 40gal kit includes everything you need to get your Bearded Dragon started. Recommended for Adult Bearded Dragons. Please check out our Youtube Channel and subscribe. Its a new feature and We will be adding exciting video's. Central Bearded Dragons are lizards that are native to Australia also know as Pogona Vitticeps. They eat both insects and plants making them omnivorous. Bearded Dragons can grow up to 24 inches long. Bearded Dragons make great reptile pets. They don’t get too big, eat a wide variety of foods, are active during the day, and are gentle. A bearded dragon can be a great addition to your family. Check out our BEARDED DRAGON CARE SHEET.